Those "controlled" rivers can be tricky. Locally the Mokelumne is like that. One minute you're on dry land, next minute you're knee deep. Mark, you definitely have to be very careful. 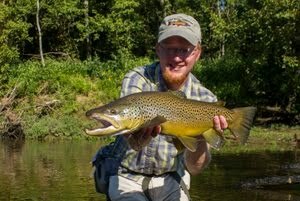 Usually the schedule for our rivers is accurate but every once in a while they surprise you. Definitely a good place to be aware of your surroundings. Thanks for stopping by! Thank you! 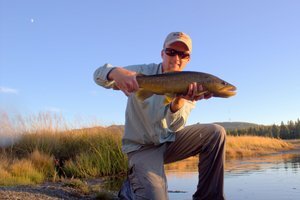 The tailwaters around here make fishing in the hot months manageable and especially keep the trout happy. Thanks Mark! I was pretty amazed myself and doubt I will ever duplicate that one haha. Earlier this year the gypsy mouths were so thick here you could smell them. 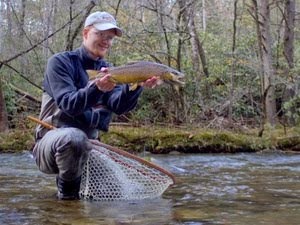 Like beetles, their adults can also make for some fun dry fly fishing! Now that would be something to see RM Lytle. I have not ever fished a Gypsy Moth "hatch" but it sounds like it must be a lot of fun! Bill, holler at me sometime if you would like some company on the water! 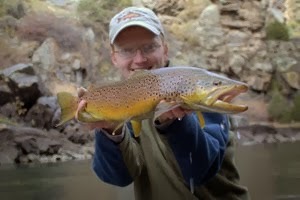 Dry fly fishing is always tons of fun. 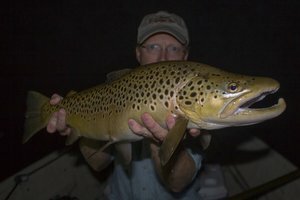 Nice Brown.